Our expert, in-house designer will work with you to design the space of your dreams… and then we’ll make those dreams a reality. 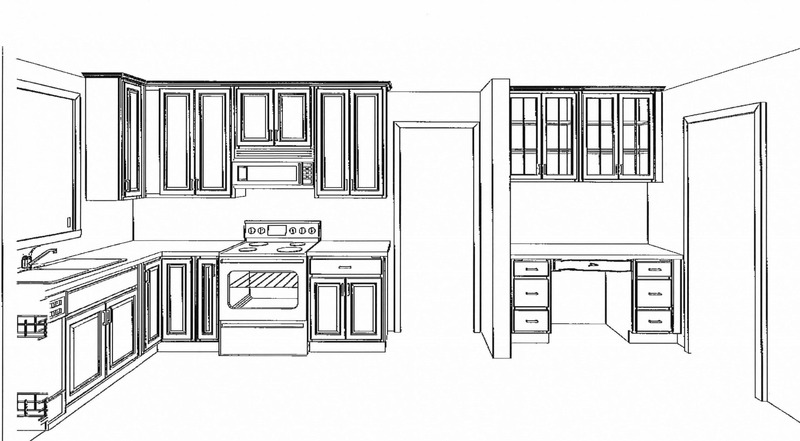 When you’re designing a new kitchen or bathroom, the process can be daunting. First, you have to decide what you simply must-have in your new space. Is it the fresh look of subway tile like Chip & Joanna Gaines use on HGTV? Or do you want a beachy feel with the new wood-look tiles that can instantly transport you to your favorite ocean getaway? But more than that, you’ve got to figure out how your new space will function. How many drawers will you have – and where will they be? How do you move around the space? How many others will need to share the space with you? What’s the most space-effective way to get what you need in the amount of space you have? And then there’s the materials choice. The right paint color. The proper window treatments. What elements will you build in, and which will you purposefully leave out? If you’re remodeling your bathroom – what kind of mirror or medicine cabinet will you use? Will it open all the way or will it interfere with the towel bar you want to put opposite? 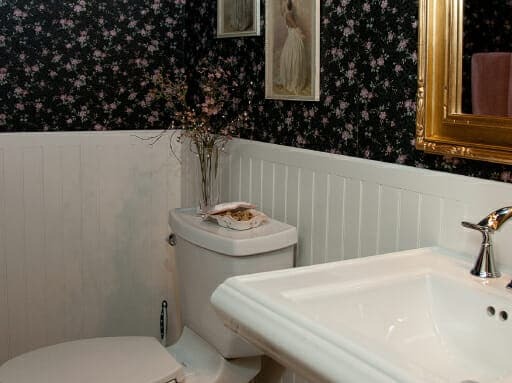 How about your sink? How much surface space do you need versus the sink style you want? Planning and mapping out a kitchen or bathroom is one of the most daunting home improvement tasks you can ever undertake. Even the professionals here at ALCO have struggled with designing our own spaces, and we do this every single day! That’s why we’re proud to have a kitchen & bath designer on staff here at ALCO to work with our current and future clients on creating their dream space. Working with our designer is the best way to make sure you get the most out of your new space – in terms of aesthetics AND function! Or walking into your new bathroom and discovering that you absolutely hate the way the shower is right next to the vanity. Our goal here is to help you have the kitchen or bath you want withOUT the added stress of trying to design it yourself. Plus, our designer is able to coach you through the process – giving you insight and input on what materials work best, what will add the most to your home’s value, and what you can do to create the look you want while getting the function you need. 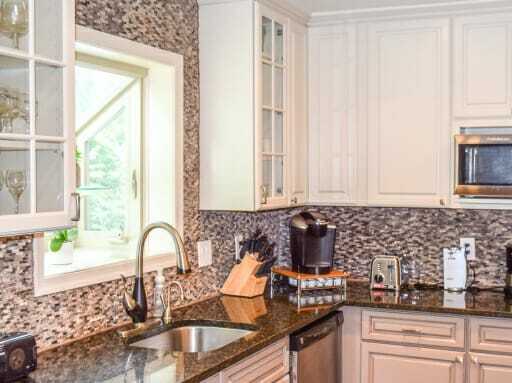 PLUS he’s able to recommend more than simply cosmetic changes – he can work with you to develop important structural changes that will not only affect the way your kitchen or bath operates… but potentially improves the entire layout of your home. Can you get all of that off Pinterest or HGTV? When you’re ready to design your new kitchen or bathroom, you can give us a call at 240-450-2495 and we’ll set up an initial design consultation. That’s where we’ll talk to you about what your needs are, your style preferences, and what you’re hoping to accomplish with your project. Then we’ll start the design! Our designer will lay out your entire space, from the floorplan to color schemes and even material suggestions. This design is yours to keep no matter what… but it only gets better from there. When you’re ready to move forward with ALCO, you’ll be able to not only have your designer on-call if you have changes or questions, but you’ll also have your very own project manager available to you 24/7 so you always feel like you’ve got the answers you need at your fingertips. We’ll complete your project using our certified installation technicians and licensed, insured and bonded workers. We’ll even utilize brand-new technology that allows us to create even less jobsite dust than ever before – which means your home will stay cleaner and your job will be completed even better than you imagined.